Last week closed on a very good note. First, Government announced the much-awaited Diamond Policy. This new policy protects the National Interest, while meeting the expectations of the Kimberley Process Certification Scheme. The equity structure which the policy prescribes firmly secures our national interest. So, too, does its interest in and coverage of all stages of the diamond value chain, which are exploration, mining, processing, sorting and valuation, beneficiation and value addition, marketing, capacity building, security and compliance. Indicative global revenues by value chain segment reveal the link between this new Diamond Policy and our goal of protecting the national interest. Global rough diamond sales rake in anything between US$15 billion and $18 billion. This is the global revenue value at the first stage of the diamond value chain. Polished diamonds, which feature at the second stage of the diamond value chain, and involving diamond cutting and polishing, globally fetch anything between US$20 billion and $24 billion. The global diamond jewellery retail market, which stands at the apex of the diamond value chain, calls forth revenues of between US$70 billion and US$72 billion. This is a huge, five-fold jump from the initial US$15 billion! Clearly the greatest value does not reside with the miner at Chiadzwa. Rather, it resides with the diamond trader somewhere in Antwerp, Surat, Tel Aviv or New York who dresses the customer's finger! This means Zimbabwe must move and stay as close as possible to where real value is. This is the import of our diamond policy, which incorporates a valuation centre, a school of gem training, and a whole special economic zone for jewellery manufacturing and retailing. The diamond mining sub-sector will go beyond the three million carats we managed this year. There are vast deposits covering most of our provinces which await exploitation. Given our past, the diamond policy was always going to be more than a mining affair. It has become a foreign policy issue, both for better and for worse. On the positive side, it means this policy is a potent tool for our engagement and re-engagement efforts. We make no qualms about this. Our abundant natural resources must lend depth and opportunity to our diplomacy and foreign policy goals. Secondly, last week Anglo-Platinum announced the completion of its smelter at Unki. I am set to officially launch this much-awaited investment next week, thus enabling our mining industry to move one more step further up the platinum value chain. As I write, palladium which is part of the platinum group of metals, is now fetching more than gold on international markets. We thus stand to gain immensely from the firming price. In mid-January next year, I am scheduled to visit Russia at the invitation of President Putin. The Russians are players in our platinum mining industry. Together, we should be able to ensure Darwendale Platinum Project finally takes off. Government continues to follow investments by Karo Resources with keen interest. It is a huge project which will consolidate our position as a global platinum producer. Our ultimate goal is to make Zimbabwe a key factor in the global platinum value chain. This week I will officially open the Lithium Carbonate Plant sited in Kwekwe. This comes hard on the heels of my launch of the Lithium Mining project in Goromonzi recently. Again, the Lithium Carbonate Plant shows our determination to exploit the value chain of this key global mineral whose abundant deposits in our country makes us the foremost lithium country on the African continent, and the eighth biggest globally. The fourth piece of good news came from commencement of works to dualise the Beitbridge-Chirundu Highway. Finally our construction units are on the ground, all from our domestic resources, our expertise and our will to revamp our road infrastructure. Fifth, I am excited that work on the new Parliament Complex which is being financed by the Chinese government began under two weeks ago. The project marks the start of the construction of a new city for our country. More jobs shall be created for our youths. Sixth, another Chinese-funded project, the Hwange Power Station Units 7 and 8, which I launched in August this year, has now begun, with civil works already underway. The whole project will cost US$1,48 billion and will deliver an additional 600 megawatts into our power grid. It is one more giant step towards national energy self-sufficiency, which means a huge saving on expensive power imports. Already, US$191 million have been drawn down from the facility and injected into our economy. Our next sights are on the Batoka Gorge Project, which is a bilateral venture between us and the sister Republic of Zambia. All told, Zimbabwe is clearly moving forward, whatever doom-sayers may want to say. There should be little or no time for those given to magnifying little, passing challenges in the hope of dispiriting us. Instead we should concentrate on the bigger picture, indeed read real and clear signs of great things happening, and an economy set to be on the go and go. More than anything, we should focus on real, structural problems which are holding, or may hold, us back. This instalment identifies one such problem requiring our full attention and eventual resolution. The Reserve Bank of Zimbabwe report on this year's foreign currency supply and demand up to the week of 16th November, 2018, gives key indicative facts and figures. I will isolate just a few of these in order to raise a structural issue concerning our economy. The global foreign currency receipts from January to mid-November stood at US$5,661 billion, compared to US$4,822 billion received during the same period last year. This represents a 17,4 percent increase in receipts, much of it pointing to the growing export activity in the economy. It is a statistic which puts paid to stories of gloom and doom we saw trending this last week. Also, during the same period under review, global foreign payments decreased by five percent to US$4,054 billion from the 2017 figure of US$4,264 billion. We thus had a positive foreign currency net position of US$1,937 billion, compared to US$582,9 million for the same period in 2017. All these are positive trends. Without understating our external obligations, these figures point to a good trend which if consolidated and complemented by resolute fiscal consolidation measures which were announced in the 2019 Budget, will certainly see our economy recovering much faster. But the report also gives facts and figures which made a worrisome impression on my mind. Our cash transactions on imported consumption goods for the same period stood at US$839,4 million. Although lower than the 2017 figure of US$1,055 billion, still this figure is too high. It gets worrisome when read against the figure of US$883,5 million which we spent on capital goods, and another of US$705,5 million which we spent on intermediate goods imports. Our spending on imported consumer goods should never come anywhere near our spending on capital and intermediate goods. I raise this worry because our economy grows on greater investments on capital goods and intermediate goods. It cannot grow on consumer imports. Linked to this are worries stoked by facts and figures on our merchandise exports. I will confine myself to tobacco acquittals to make my point. The country's top 20 tobacco exporters accounted for nearly US$384 million as at mid-November. Out of the 20, only four exported cigarettes, for a mere US$5,772 million. The rest of the acquittals on our tobacco exports for the period, amounting to US$378,715 million, came from exports of unmanufactured tobacco. This trend of commodity exports runs through almost all acquittals on our exports in agriculture and in mining. I shall not go into all the figures. Facts and figures on the country's top 20 exporters in the manufacturing sector deliver more illustrative lessons. Top of the list of these companies is Suzan General Trading which manufactures jewellery for export. Its acquittals are worth US$38,5 million. Next best is the fabrics and clothing exporter, Paramount Garment, which managed US$12,2 million. Combined acquittals for exports of gold, diamonds and platinum, which Suzan Trading possibly uses to manufacture jewellery, amounted to US$2,3 billion! From the foregoing, the story on our economy is stark and clear. On the one hand we are spending precious foreign exchange on excessive imports of consumption goods, while spending just a little more, or even far less on capital and intermediate goods respectively. Secondly, we remain a primary commodity exporting economy, thus "expiring" at the very beginning of the value chain. And considering our low productivity levels in mining, partly explained by under-investment in capital goods and in the acquisition of modern technologies, it means we are far from our optimum even at that initial production stage of different value chains, that of mining in this case. Yet comparatively, jeweller Suzan General Trading, whose earnings from modest beneficiation of our precious minerals, shows what we stand to gain should we invest more both at the initial mining production stage, and more resolutely up the value chain, to reach and decorate the "wrist", the "chest" or the "neck". Two lessons thus stand out. Firstly, we must step up productivity at primary stage so our commodity outputs grow bigger. Secondly, we must industrialise to move up global value chains through value addition and beneficiation of our primary commodities if our export performance is to improve on the strength of global value chains. Suzan shows there is a huge appetite for our value-added finished goods. With improved export receipts, we are then able to meet our import requirements, including medicines, fuel and electricity which have been making headlines lately. This, in my view, is the level at which the national focus and debate must be pitched. Economic experts of all persuasions are now agreed that industrialisation is the only historically proven path to sustainable economic growth and development. No country in the world has developed without light manufacturing at the very minimum. Its reliance on primary commodity exports makes it a low-value economy which is acutely susceptible to external price shocks, and to modest growth without inclusive development. So, export earnings based on trade in primary commodities cannot be the core of our national growth strategy. Yet it has been, with all the attendant ups and downs, highs and lows. The remedy is clear: our economy cries out for depth, which is itself a function of a compact industrial policy backed by a good strategy of executing it. The solution cannot lie in current industrial scatterings which are not co-ordinated or built on demonstrable value chains. A compact industrial policy must cause structural transformation of the entire economy away from reliance on primary commodity production and trading. It must gear us for entry into global value chains as an efficient, competitive and innovative economy which reliably supplies global markets. I emphasise the issue of efficiency in order to dispel the fetish around protective tariffs which our industrialists clamour for as an end in themselves. Tariffs only deliver captive domestic markets; they do not necessarily deliver a competitive edge in global value chains. Arguably, this is why SI 122 has not given us the desired result in the more than two years of its duration. Quite the contrary, it may have bred smug complacency and lack of innovativeness from a sense of uncontested markets. National structural transformations leading to global competitiveness thus require much more than protective tariffs or even comparative advantages which can be static. They require a dynamic national industrialisation framework supported, by a good infrastructure, macroeconomic stability, good laws and policies on investments, and aggressive technology acquisitions and innovations. Above all, they require a knowledge economy which begets skills, and which narrows gaps to knowledge frontiers. The just released 2018 National Critical Skills Audit Report shows there is a lot we need to do in this area. Here are the sobering findings. 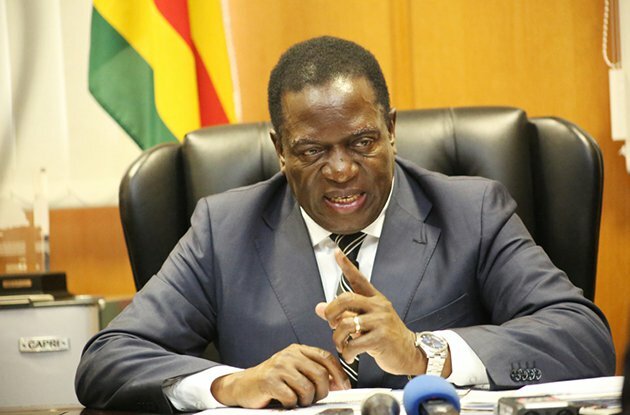 Except in the fields of business and commerce where there is a skills surplus of 121 percent, Zimbabwe sufferers from a debilitating all-round skills deficit in the areas of engineering and technology (-93,57 percent); natural and applied sciences (-96,91 percent); medical and health sciences (-95 percent) and, quite embarrassingly, in agriculture (-88 percent), which is the backbone of our economy and the natural springboard for any industrialisation policy and strategy. All this creates a paradox where a country with a 94 percent literacy rate — one of the best on the continent — at the same time registers such a huge skills deficit. This are the real issues which must grab our attention and focus. Zimbabwe needs a compact industrial policy if her economy is to achieve structural transformation. Only countries that industrialise trade sustainably. 2019 must thus see us move in the direction of a compact industrial policy, followed by a real industrialisation strategy in order for us to attain our Vision 2030.